The result WHITE PAPER barrel of a confluence between the accumulated wisdom and experience with many clients over the years. 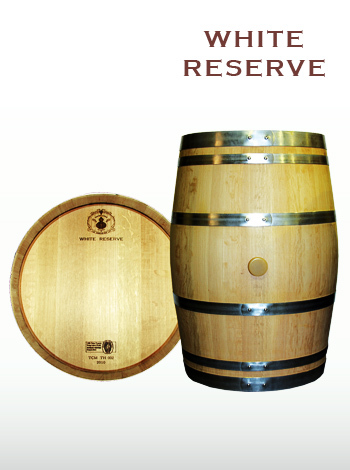 White wine has seen great progress in the last decade, particularly through the increased use of wood in winemaking. With WHITE PAPER JM Gonçalves comes to that effect fill a gap in the market. Special burn developed to improve the qualities of each white wine while respecting its characteristics. The perfect balance between wood and wine. The "white paper" barrel has a complex sandwich of low intensity. This elegant and balanced profile is characterized by being at a very smooth temperature for a long period of time. The result is an innovative profile specifically designed to highlight the freshness of white wines while respecting its characteristics. Wood French oak Quercus petraea with natural drying 24 or 36 months certified by Bureau Veritas. Stave extra-fine grain chosen manually.